This DevOps Training is to make an individual expert in all DevOps Concepts form the Basics. This Course is Provided by the Real-Time professionals to make you understand the Real-Time IT Scenario’s and Problems. 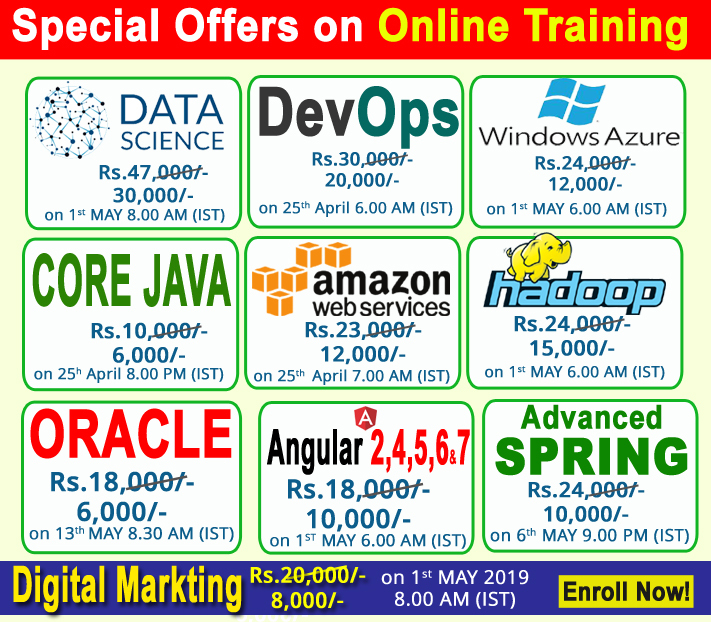 DevOps Training makes you master in the various aspects of the principles of continuous development and deployment, software development operations, continuous integration, automation of configuration management and learn the various tools like Git, Docker, Jenkins, Nagios, Puppet, Ansible and Kubernetes.